In real estate, escrow refers to the window of time in between a buyer’s offer being accepted and meeting the seller at the closing table to sign the finance and title transfer documents and receive the keys to their new house. It’s managed by a third party (often a title company) that’s not connected to the buyer or the seller, and the third party will hold onto any money that changes hands and help ensure that everything is in order for the final transfer of ownership. Although escrow is a critical component of the home sale that typically takes between 30 and 45 days, for many buyers it seems to stretch on for centuries. What should you do when you’re stuck in escrow? If you’re not sure what to expect, follow these tips, and your closing should go as smoothly as humanly possible. The buyer’s real estate agent will sometimes serve as a liaison between the buyer and the escrow office, but often if something needs to be done to move the transaction forward, the title company (or other escrow manager) will contact the buyer directly to get what’s necessary. To make sure everything closes on time and everyone is happy at the end of the day, it’s critical for buyers to manage their communication systems impeccably. This might mean carrying your phone around with you to check for text messages, phone calls, or emails on a constant basis, changing your alerts so that you know immediately if someone is asking you an escrow-related question, or another form of communication management. Most buyers purchase a home using a mortgage loan, and the lender — the bank or company loaning you the money to make the purchase — has certain standards and qualifications that must be met before they’ll agree to fork over the money and make you a homeowner. One of those necessary steps is getting an inspection, where a qualified and certified home inspector will walk through the house and check the foundation, electrical, plumbing, and other sources of potential problems with the house. This is as much for your benefit as the lender’s; you don’t want to move into a house only to discover that the sewer line is deficient or that it’s leaking gas, or even that the smoke alarms don’t work. Talk to your agent or your escrow manager about who’s responsible for ordering the inspection and make sure it happens in a timely manner. You may even want to be there in the house when the inspector walks through so you can ask questions and get explanations for what’s happening. Lenders have different inspection requirements, and some inspections might not be as necessary in certain areas as others. A pest or termite inspection, for example, might or might not be part of the lender’s own due diligence process, and lenders also might not require that your basement or lower levels be checked for radon before you move in. Are these things you want to pay for out of pocket on your own? That’s a decision that only you can make; it’s likely that your real estate agent will have an opinion about whether it’s necessary, based on their local expertise and knowledge of common problems in the neighborhood or general area. Talk to your agent and discuss the possibility of additional inspections with other household members so you can make an informed decision. Lenders also want to know whether the home you’re purchasing is actually worth the amount of money you want to pay for it. Nobody buys a house expecting that they’ll be unable to pay their mortgage and wind up in foreclosure, but if that does end up happening, whichever bank or entity owns your mortgage loan will need to be confident that they can recoup a loss, which means they don’t want to overpay for a house even if you’re the one who will be making the mortgage payments over time. It’s usually the escrow manager’s job to book the appraisal, in part because appraisers are supposed to be independent and shouldn’t have ties to either the buyer or the seller. In many areas, appraisers are in short supply, and as the buyer you definitely have a right to ask about timelines and how the appraisal went, so check in with your escrow manager to hear about their plan and ask if there’s anything they need from you in the meantime. The inspector might turn up an issue or two with the house, and depending on the contingencies baked into your contract, you do have the right as a buyer to talk to the seller about how to handle those. Do you want the seller to arrange for those repairs to be made and pay for them? Or is that something you’re willing to tackle yourself? If the seller manages any necessary repairs for you, you’ll save your own money upfront — but there’s no guarantee that the seller will opt for a higher-quality, more expensive repair over a cheaper, faster, less permanent option. So it’s not necessarily always to your advantage to get the seller to pay for it, especially if it’s a repair (like a roof) that needs to last for a long time. Think about what’s going to be best for you in the long term and negotiate from that standpoint. Lenders will also want to make sure that any asset they are backing with their money is insured against major losses, such as a fire. As the new homeowner, it’s your responsibility to get that insurance in place; your lender won’t release the funds (and you won’t be able to buy the home) without it. Now is the time to find a good insurance agent if you’re not already working with one. Your agent might know someone local who can tell you what policies and insurers are available in your area and make recommendations for how much you’ll need in insurance, which will cover not just the structure but all the contents (in other words, your belongings). Working through an insurance agent can also save you some money long-term; for example, many insurers give a discount on auto insurance if you are using the same company for your homeowners’ insurance, so this might be a good time to consider switching your car policy, too. Most new homeowners aren’t oblivious to the fact that they’ll have to pay for the utilities at their new house, but there’s no time like when you’re stuck in escrow for tying up those loose ends and making sure everything is ready for the closing table and moving day. Your agent can get information from the sellers about who provides the electricity, gas, water, and trash removal at your home, and you can also do some research yourself on additional utilities, such as internet service providers, a telephone land line, or television options (if you want them). Start collecting names and calling up your various utility companies; let them know you’ve just bought the house and you’ll need service either started or transferred the day you move in. That way you don’t have to worry about missing anything vital when you get to your house. The preapproval from your lender might be over, but the underwriter on your loan will probably still need to see all of the documentation (and then some) that you provided to get that preapproval. Work with your mortgage broker to make sure you’re handing over all the documents they need, when they need it, so there are no delays in financing and you can be confident that your loan will go through on closing day — you definitely don’t want to endure the panic of realizing that the IRS didn’t actually accept your tax return a couple of years ago, for example. To make the decision to loan you the money for your house, your lender had to look at your income and expenses — and any major changes to either income or expenses could cause a snag in your loan. If you’ve been thinking about switching employers or making any other big changes in your income or expenses, do yourself a favor and wait until after closing, when it won’t have any impact on your home’s mortgage. Maintaining steady, stable employment can’t hurt and can only help while you’re planning for a big move, anyway, so do your best to keep things as normal as possible until after you’re moved in. On the same note, buyers often can’t help but think of all the furniture they’ll need (but don’t yet have) in their new home. The living room might be bigger than anywhere you’ve ever lived; maybe you could use a new bedroom set, and maybe you’ve never had a dining room before and would like a table and chairs for eating meals. That’s all fair enough, but the time to start shopping for and buying new furniture is after the keys are in your hand and the transaction is a done deal — not before. Your credit score is certainly a factor here, but there’s also the risk of the unknown; what if something happens before you get to closing, or there’s something wrong at the final walk-through, and you have to delay or even cancel the sale? What are you going to do with rooms full of furniture that don’t fit in your current abode at that point? Your lender will want to make sure that they fully understand where all your cash is coming from, so if you suddenly start making deposits that aren’t accounted for by either your employment or other income you’ve already covered with them, it can raise a red flag. If you’re getting a big windfall in the form of a gift or an inheritance, let your mortgage broker know as soon as possible what’s going on, and ask how you need to document it with the lender. It’s very possible that it might be best for your home loan to wait to deposit those checks until after closing, and if you don’t need the money for the home purchase or the move, put it in a safe place and plan to fill your bank account back up when the keys are in your hand. Credit scores are important when you’re buying a house — your lender uses your credit score to determine your interest rate, for starters — so you’ll want to make sure that you aren’t behaving in any ways that might cause a big dip in your score. This includes ensuring that your bills are all paid on time and in full so that you’re keeping your score stable and as robust as possible. You might think that it’s fine to play catch-up once you’re in the house, but this is a decision that can come back to ding you, so use automatic withdrawal or write your checks and mail them as soon as you can to make sure you’re keeping current. Another function of a title company is to research the title on your home and make sure that there are no liens you don’t know about on the property — no other people or entities are claiming a portion of ownership, in other words — and that the title is free and clear of any unknown heirs or other snags that could cause a problem with the transfer of ownership. A title will also give you details about additional anomalies like any easements on your soon-to-be home, which is always good to know before you move in. Some buyers opt for title insurance, while others don’t. That’s a personal decision, but it might provide some peace-of-mind for you — title insurance will protect your interests in case the title company misses something and there is a lien or an heir that you didn’t know about before you bought the house. Talk to your agent about whether it makes sense for your situation and act accordingly. It can be hard enough scraping together the down payment for the home, but there are other expenses involved in buying a house — earnest money upfront to prove to the seller that you want the house in earnest, for example, and the contract might also state that you as the buyer need to pay for the inspection and appraisal. You might also have to pay the closing costs at the closing table. Do you have the funds available to tackle those necessities as soon as possible? Make sure your finances are in order and track your transaction costs so that you aren’t caught by surprise (and unable to pay) when a bill for one of those services arrives. Just about every agent has some nightmare story about finding something in a final walk-through — like a seller who’s decided they aren’t going to move anything out of the house until after closing. (If you can imagine it, it’s happened to someone!) Work with the seller and your agent to arrange a time for a final walk-through before you both sit down at the closing table and check on everything you’ve done. Have the desired repairs been made? Is the house clear of the sellers’ possessions and clean? Is there anything missing that should be there, or anything present that shouldn’t be? If things don’t look perfect for the final walk-through, talk to your agent about your options; you may need to delay closing for a day or more to get it handled, or even cancel the transaction, but it’s better to go through that headache than to be saddled with a house that isn’t exactly what you bargained for. 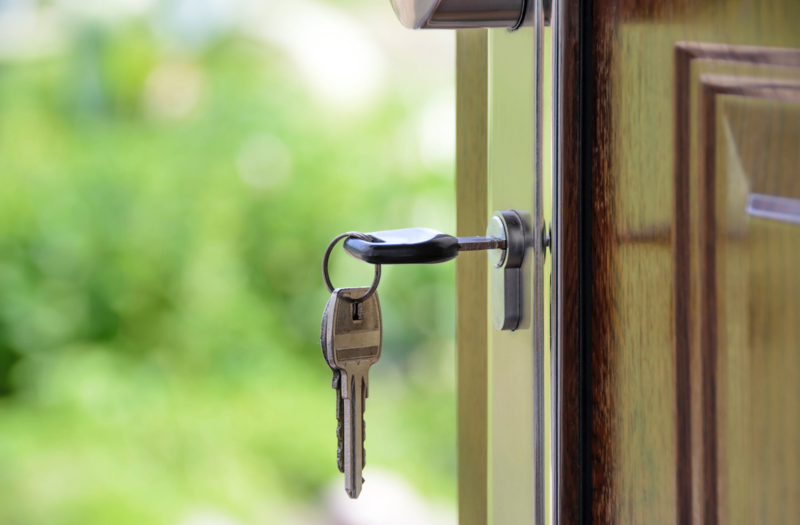 In the world of scams, you might not think that many people would bother with trying to run a scam during a real estate transaction … but unfortunately, you’d be wrong. It is not unheard of for a buyer to get a legitimate-seeming email from their agent or the escrow manager asking for the down payment to get wired to a certain account, and if they happily oblige, that money could disappear into the ether. If your agent has already given you instructions on how to transfer money and you understandably have forgotten the exact steps, feel free to call them up and ask for a refresher. And if you do get an email from someone who seems legitimate asking you to wire money, pick up the phone and call your agent or escrow manager to confirm that it really is legitimate. In most cases, you can drop off a cashier’s check instead of wiring money — which might be preferable, anyway — so triple-check any requests for money to ensure they’re legitimate. You might feel sillier, but it’s better to feel silly today than devastated tomorrow because your entire down payment is in the wind and there’s nothing you can do to retrieve it. There’s a lot going on in escrow, even if it seems to take forever, and the best way that buyers can get through the process is to make sure they’re staying on top of any responsibilities they have to move the transaction forward. Keep tabs on everything you’ll need to do to get from aspiring buyer to actual factual homeowner, and make sure you’re not letting anything slip through the cracks; the more responsive and on-the-ball you are, the better chance you have of getting through escrow without any major bumps in the road.